With major names in the smartphone industry including Samsung, Sony, and LG having announced this year’s models, attention has now begun turning to less-popular players such as ASUS, Huawei, and other Chinese OEMs. In the latest leaks, the much-awaited ASUS Zenfone 3 seems to be on the way thanks to leaks coming from design site Red Dot. The images, which happen to be the first we have seen for this device, show that the company will be rolling out two variants of the smartphone. There is also another ASUS Zenfone 3 Deluxe coming your way, so better get yourself ready to make some tough decisions. In the listings, very little can be known as far as the specifications of both ASUS Zenfone 3 and Zenfone 3 Deluxe, however, there is a lot that we can still gather from the same. 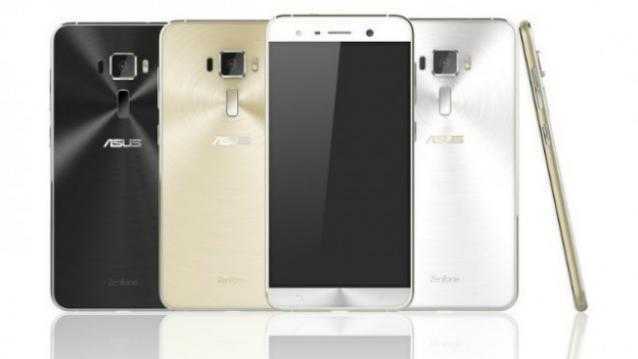 The upcoming ASUS Zenfone 3 Series will come with a 2.5D glass or rather curved edges on both the rear and front that feature a curved aluminum frame. Just like with the case of previous models, the company’s Zenfone 3 will come with a decoration film that features a metallic spin texture right under the rear glass. When it comes to the features of the upcoming ASUS Zenfone 3, expect to see what you’ve seen in this year’s already released flagships. One such thing is USB Type-C charging, a fingerprint scanner as well as a high-quality camera both on the front and rear. There are reports that this device will come with a flash-enabled FFC. Something that might catch the attention of many is the addition of a new Smart Flip Cover which will let users easily see notifications as well as access various settings. For the ASUS Zenfone 3 Deluxe model, expect to see a full metal design that does away with plastic antenna lines. According to the listing, the upcoming Zenfone 3 Deluxe will be the first full-metal smartphone in the world. Other design features to expect as far as the Zenfone 3 Deluxe is concerned are the physical home and side-lock buttons that give the new phone a Samsung-like look. As far as processing is concerned, there are claims that ASUS will go for Qualcomm’s Snapdragon chipsets, however, this might only affect lower end models. If this is true, it’s possible to see the ASUS Zenfone 3 Series coming in with Intel chipsets. Even though ASUS has not gone public with the release date of the upcoming ASUS Zenfone 3 and Zenfone 3 Deluxe, there are rumors pointing towards the upcoming Computex 2016 that will be staged in Taipei towards the end of May or in early June. The phones will be powered by the latest Android Marshmallow out-of-the-box with an option to upgrade to the upcoming Android N expected.